Even with the Federal Reserve interest rate hikes of 2015 and 2016, mortgage rates remain at historic lows. 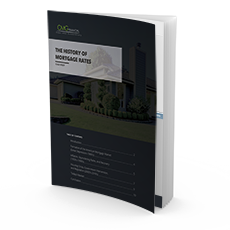 Since the advent of the modern American mortgage in the 1930’s, mortgage rates have fluctuated dramatically, peaking at an unprecedented 18.5% during the 1980’s. Mortgage rates are largely dependent on economic activity, inflation, and the guidance of the Federal Reserve. Before the Great Depression, the government did not regulate lending, leaving financial institutions responsible if the borrower defaulted. These high-risk loans often featured variable interest rates and high down payments, pricing many people out of homeownership. After the rampant foreclosure during the Great Depression, lending reform began to take shape through President Roosevelt’s New Deal. The Federal Housing Administration (FHA) and the Federal National Mortgage Association or Fannie Mae were created to intervene in the mortgage market and regulate lending. Since the establishment of the 30-year fixed-rate conventional mortgage, rates have experienced some volatility from decade to decade. In the 1970’s and 1980’s, accelerated inflation sent mortgage rates skyrocketing. The ensuing recovery was marked by the internet boom, low energy prices, and a revival of the housing market. Today, rates are historically low compared to the double-digit standards of previous decades. Freddie Mac reported the interest rate on the average 30-year fixed rate mortgage was approximately 4.3% at the end of 2016.